The Charles River Apparel Style 5809 Women’s Chatham Anorak Solid is available in Women’s Sizes XXS-3XL. It can be purchased in your choice of the following colors: Lilac, Neon Pink, Navy, and Kelly Green. SKU: CR-5809 Categories: Activewear, Jackets, Ladies Pullovers, Women's Hoodies, Women's Pullovers, Women's Pullovers, Women's Clothing, Ladies Activewear, Women's Jackets, Ladies Outerwear, Outerwear, Sport Red Tags: Anorak, wind and water resistant, women's activewear, Women's Chatham Anorak, women's clothing, women's pullover, women's sportswear Brands: Charles River Apparel. The Women’s Chatham Anorak Solid is an updated classic meant to be taken with you wherever you go. Made from 100% Softex Polyester, this wind and water-resistant pullover is lined with a lightweight jersey and has a nylon sleeve lining for easy on/off. 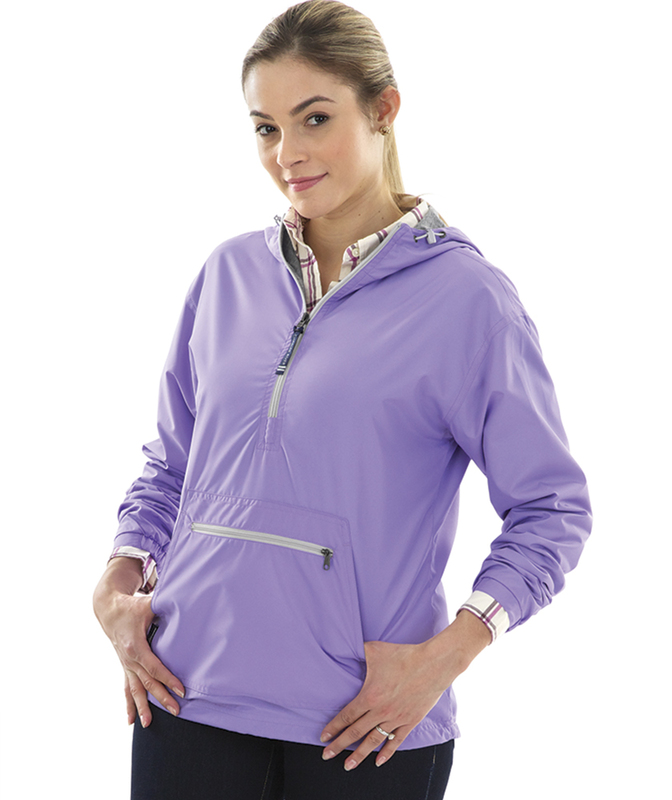 If you would like to monogram the Charles River Apparel Women’s Chatham Anorak Solid, the following imprinting methods are recommended: Embroidery, Screen Print, Applique, and Heat Transfer.